Nothing like a good sword fight to unwind after a day in the office eh Myles? 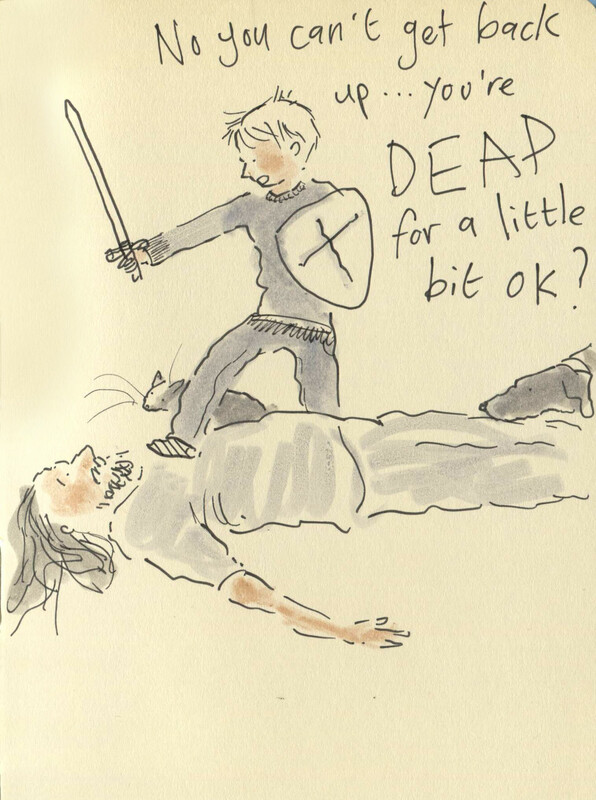 Posted on March 4, 2015, in Uncategorized and tagged Children, Doodlemum, Drawing, Family, Humour, Illustration, Life, Pen and Ink, Sketchbook. Bookmark the permalink. 4 Comments. If Gruff isn’t careful, Dad might fall asleep like that and take a nap! What a good idea- how else do you get a nice lie down when you have 3 children?! Is Gruff the newest member of Myles’ re-enactment society, then?! Oh y es – am a fencing fiend myself, nothing better!